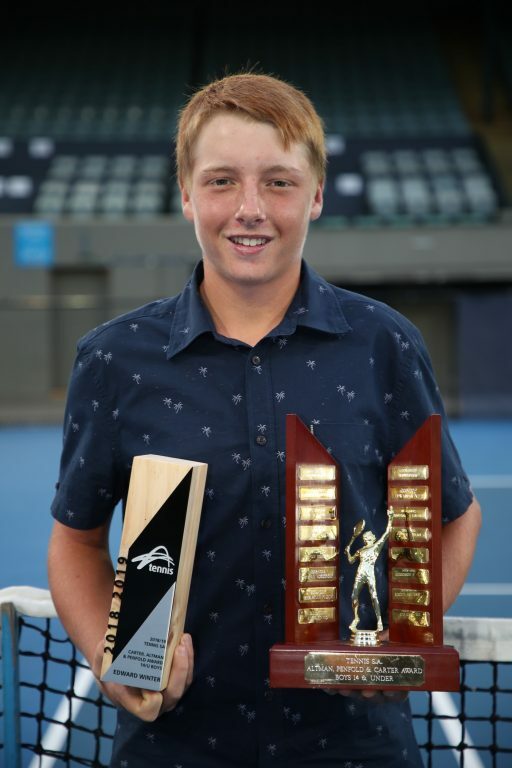 Seacliff Tennis Club has stormed to Tennis SA Junior State League victory following an action packed Friday evening at Memorial Drive Tennis Centre. After both finishing as runners up in the 2017/18 season, the Seacliff boys’ and girls’ teams finished on top of their respective ladders before claiming the 2018/19 titles last night. In the girls’, Seacliff brought their A-game to defeat an impressive Pembroke side by just four games. “Everyone has been playing each week and working really well as a team,” Seacliff girls’ team captain, Jasmine Adams said. Meanwhile in the boys’ competition, Seacliff took a commanding four rubbers to two victory over Trinity Gardens to claim their first Junior State League premiership. “I thought our singles really took control of the overall standings tonight and then we were able to finish off strong in the doubles,” Seacliff boys’ team captain, Noah Koeroessy said. “It feels really good to come back and win it this year,” Koeroessy added. 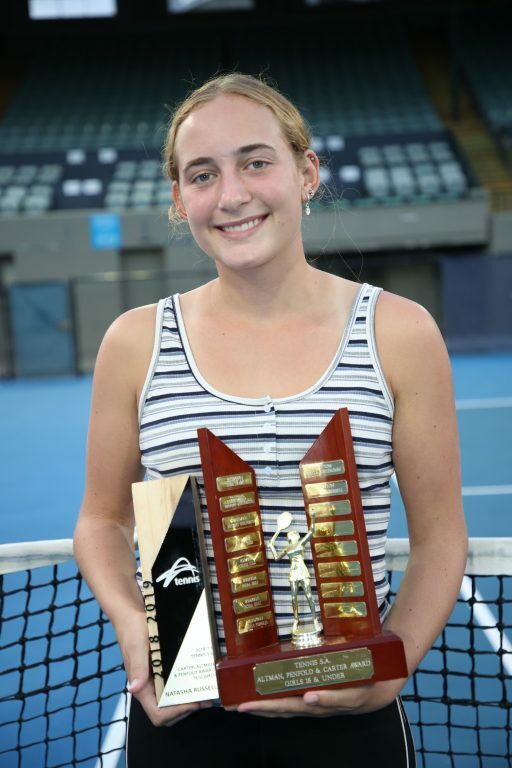 Tennis SA CEO Steven Baldas was pleased to congratulate the winning sides. 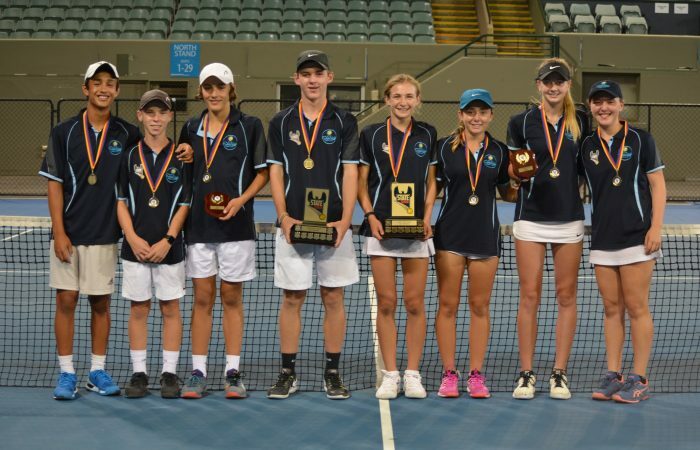 “We are thrilled to congratulate the 2018/19 Tennis SA Junior State League champions, Seacliff Tennis Club,” Baldas said. 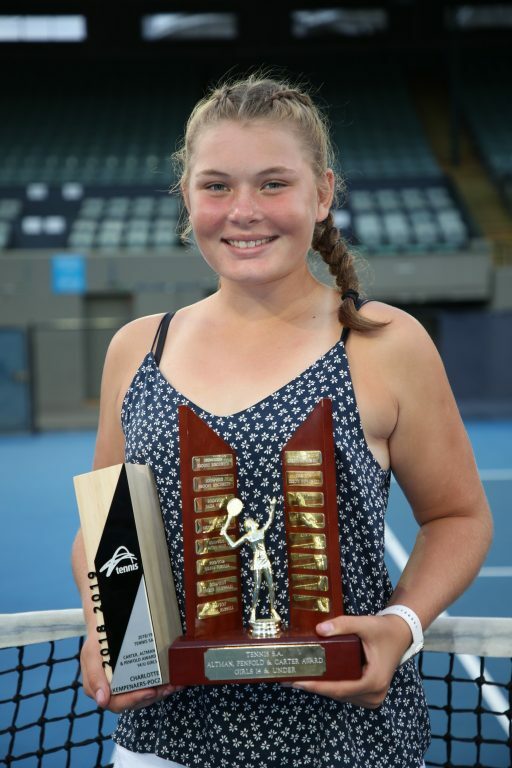 Earlier in the evening, the Tennis SA Junior Award Presentations were held to recognise and reward the achievements of South Australian junior players over the 2018/19 season. 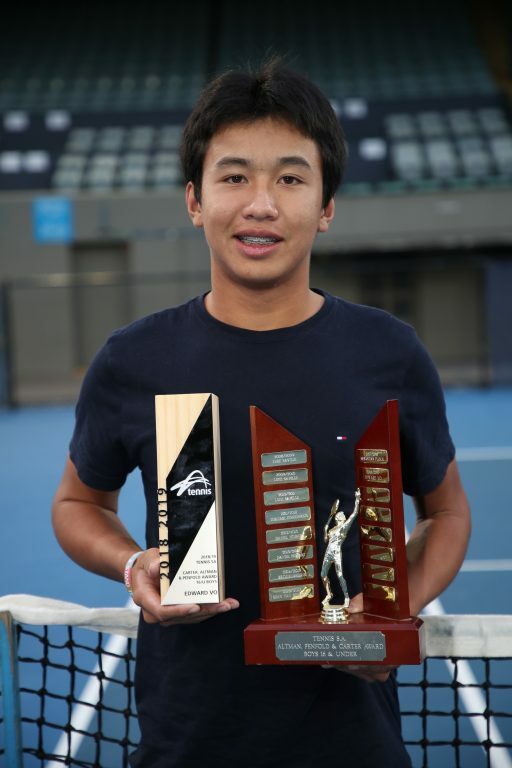 Two players stood out from their peers to win the Junior State League Player of the Year award. 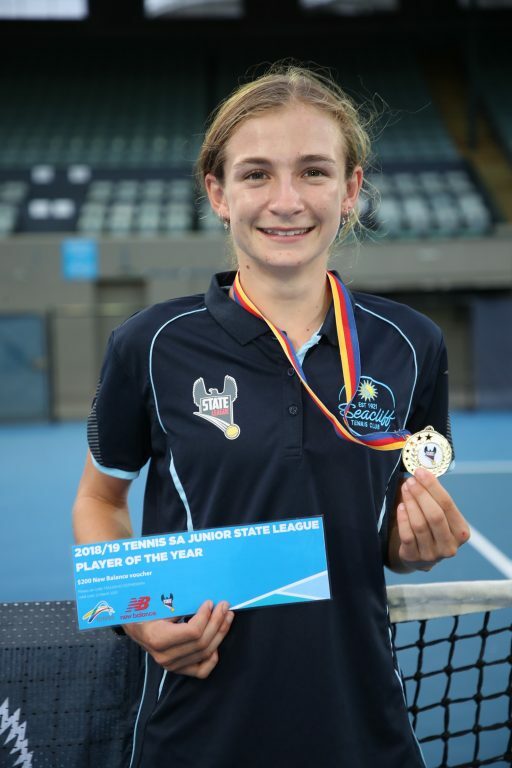 Jasmine Adams from Seacliff was awarded the Female Player of the Year and Stefan Bianchet from Glenlea was awarded the Male Player of the Year. At the conclusion of the Junior Award Presentations, players hit the court for the national anthem before commencing play. In the girl’s competition, Seacliff had all the pressure heading in sitting top of the ladder all season with their opponents Pembroke who had nothing to lose. Pembroke’s Juliette Robinson and Elim Yan came out strong winning the number three and four singles 9-5 to give their team an ideal start. That put all the pressure back on Seacliff, but Seacliff’s Jasmine Adams and Cydney Crumbie bounced back winning well like they have done all season and giving their team a two game lead heading into the doubles. In the double’s, top pair Jasmine Adams and Cydney Crumbie blitzed Pembroke’s Meeka Marshall and Juliette Robinson 6-0 to set their side up. In a hard fought second doubles, Pembroke came up on top winning it 6-2 but wasn’t enough to get across the line going down by four games. 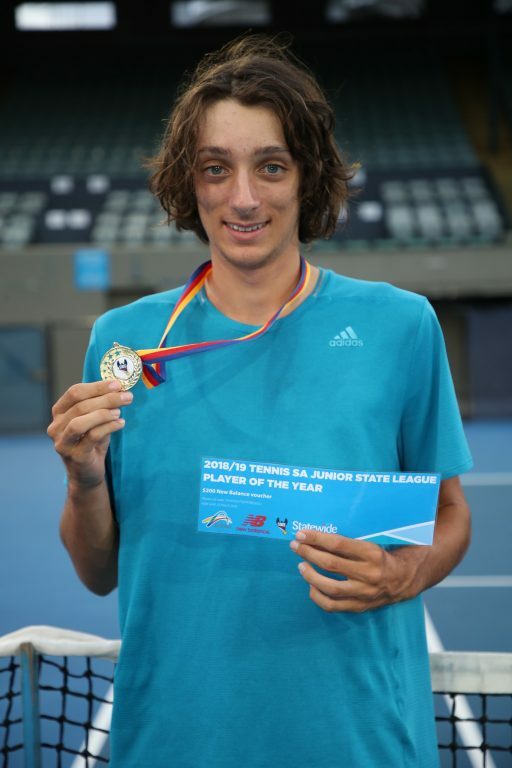 Officially declaring the 2018/19 Junior State League Premiers to the Seacliff Tennis Club. In the boy’s competition, Seacliff came up against Trinity Gardens with Seacliff hoping to get a win to make history and have the girls and boys in the same year win the Grand Final. Trinity’s number one Callum Gale was too strong for Noah Koeroessy winning it 9-1 and giving his team a fighting chance. 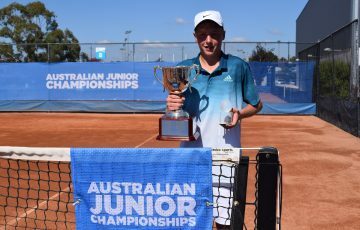 Unfortunately for Trinity Gardens, it was all Seacliff after that winning the second singles and second doubles sealing victory and officially making Seacliff Tennis Club the 2018/19 Junior State League Premiers. 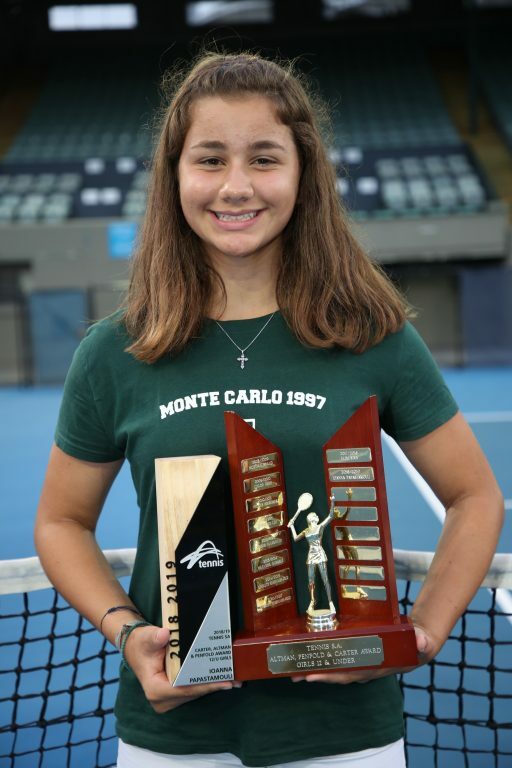 The Seacliff Tennis club after losing last season in both the boys and girls have bounced back and made history winning both the boy’s and the girl’s competition in the same season. 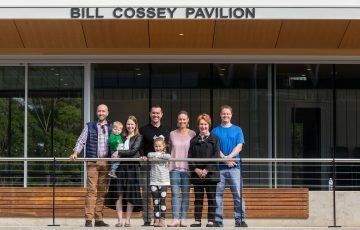 It’s well deserved and Tennis SA congratulate the Seacliff Tennis Club on a fantastic season and milestone. 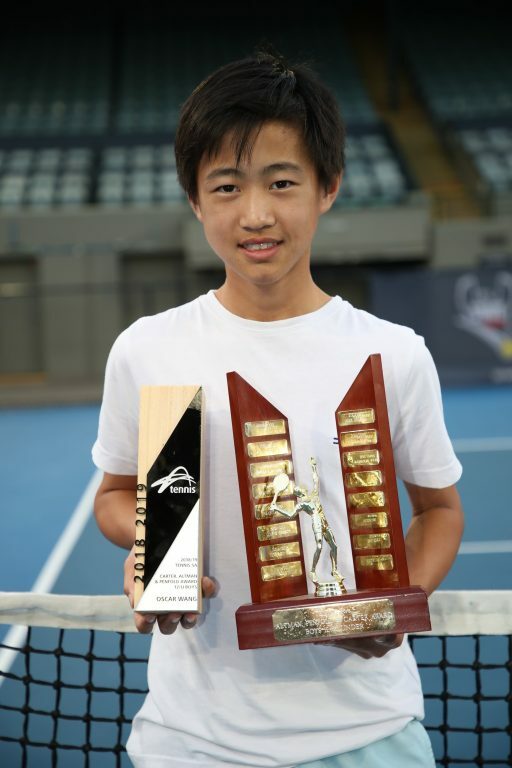 Tennis SA would like to thank all clubs, players and volunteers that participated in the Junior State League season. We wish you luck over the winter and hope to see you back next season.